Top-of-atmosphere reflectance measured above the ocean in the visible and near infrared, after correction for molecular scattering, may be linearly combined to retrieve surface chlorophyll-a abundance directly, without explicit correction for aerosol scattering and absorption. The coefficients of the linear combination minimize the perturbing effects, which are modeled by a polynomial, and they do not depend on geometry. The technique has been developed for Global Imager (GLI) spectral bands centered at 443, 565, 667, and 866 nm, but it is applicable to other sets of spectral bands. Theoretical performance is evaluated from radiation-transfer simulations for a wide range of geophysical and angular conditions. Using a polynomial with exponents of −2, −1, and 0 to determine the coefficients, the residual influence of the atmosphere on the linear combination is within ±0.001 in most cases, allowing chlorophyll-a abundance to be retrieved with a root-mean-squared (RMS) error of 8.4% in the range 0.03–3 mgm−3. Application of the method to simulated GLI imagery shows that estimated and actual chlorophyll-a abundance are in agreement, with an average RMS difference of 32.1% and an average bias of −2.2% (slightly lower estimated values). The advantage of the method resides in its simplicity, flexibility, and rapidity of execution. Knowledge of aerosol amount and type is avoided. There is no need for look-up tables of aerosol optical properties. Accuracy is adequate, but depends on the polynomial representation of the perturbing effects and on the bio-optical model selected to relate the linear combination to chlorophyll-a abundance. The sensitivity of the linear combination to chlorophyll-a abundance can be optimized, and the method can be extended to the retrieval of other bio-optical variables. 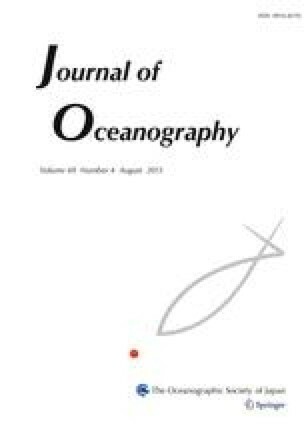 1.Scripps Institution of OceanographyUniversity of California San DiegoLa JollaU.S.A.